Project Engineer (Civil Engineering) - GATE, B.E. The candidate will be paid salary in E-1 IDA Scale Rs.40000 -140000(new scale as per 3rd PRC) with the Basic Pay of Rs. 40000/-, DA and HRA @ 24% of basic pay, subject to deduction of statutory or other deductions. Candidate’s upper age limit should not exceed 30 years as on 10th May, 2018. Eligible candidates are first required to go to the MRVC’s website http://www.mrvc.indianrailways.gov.in/ and click on the Vacancy Notification under News & Information tab on Home Page of the Web Site, click on the link “ONLINE APPLICATION FOR CONTRACT PROJECT ENGINEERS (CIVIL, ELECTRICAL, S&T)” to open the On-Line Application Form. Project Engineer (Electrical Engineering) - GATE, B.E. Project Engineer (Electronics & Telecommunication Engineering) - GATE, B.E. 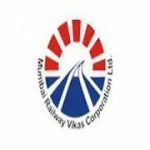 Contact Us:MUMBAI RAILWAY VIKAS CORPORATION LTD.